We see people’s sins, but we don’t know whether they have made peace with God. We don’t know if the person who has sinned regrets it, but we are not called to judge them, but only to forgive them. As we become aware of our own sins, and begin to realize how much forgiveness and mercy we need, we are less likely to see the sins of others. If we find ourselves judging others, we must simply turn it around, and judge only ourselves. 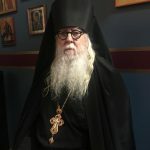 Abba Dorotheos’ Practical Teaching on the Christian Life, (the one published in Athens, Greece), is a book every Orthodox Christian should own, and one that should be our constant companion, in our struggle to truly forgive others, and turn our gaze on our own need for change. We must accuse ourselves, blame ourselves, judge ourselves, and get our focus off the other person. The only way we can overcome the sin of judging others, is to see only the sins of ourselves. True repentance comes only when we work on our own fallen nature. 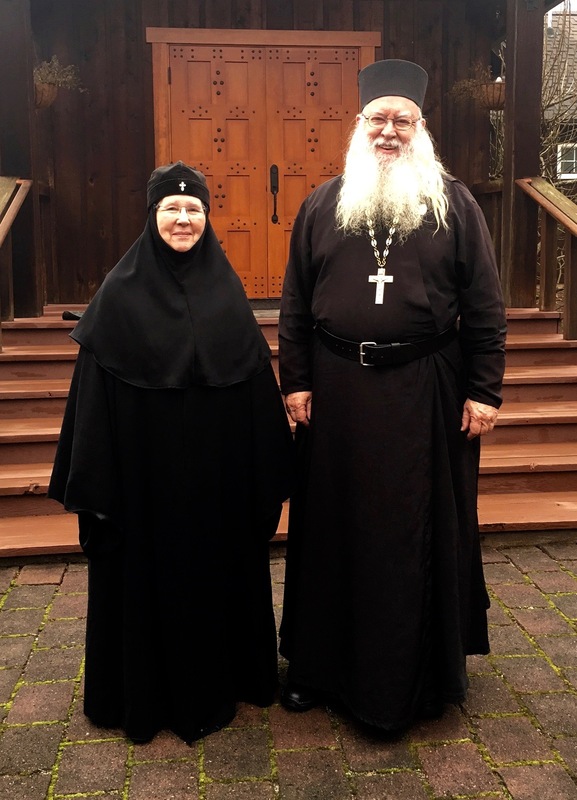 Photos: Nun Eisodia (Asquith), of Washington D.C., visited the monastery this weekend. 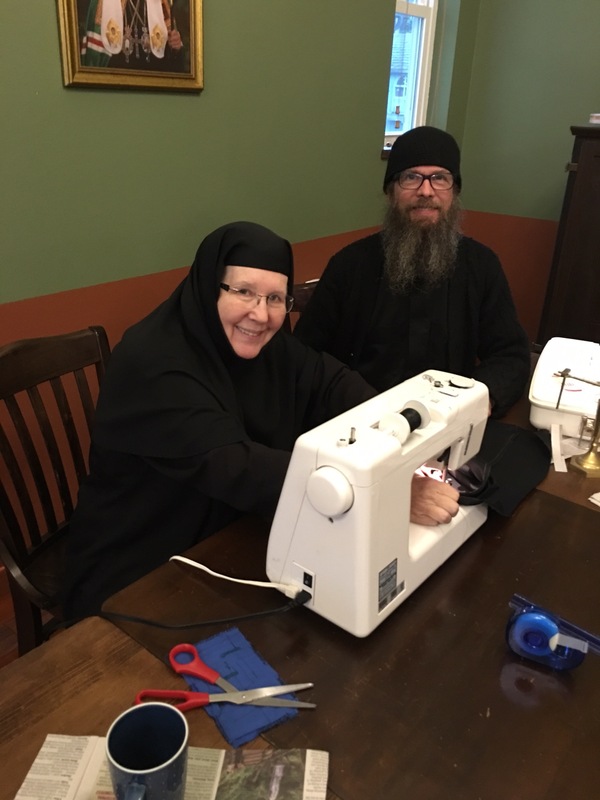 With the blessing of Metropolitan Hilarion of the Russian Orthodox Church Outside of Russia, Mother Eisodia is traveling the country in preparation for a book that will be aimed at pilgrims looking for monasteries and other holy places, as destinations for quiet retreat and contemplation. While staying with us, Mother instructed Monk Martin in the art of tailoring. 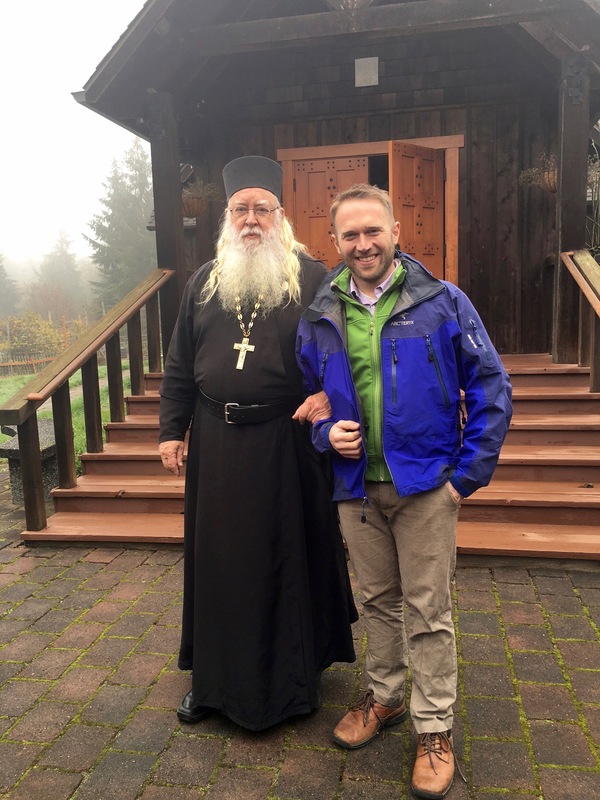 Additionally, we were blessed to have David Stobbe, a member of Saint Vincent of Lerins Orthodox Church in Saskatoon, Saskatchewan, spend a few days with us in retreat. 5 Do not rebuke an older man, but exhort him as a father, younger men as brothers, 2 older women as mothers, younger women as sisters, with all purity. You have no idea how troubling such it is to read such things on the morning I go to court to give evidence in the case of a thief who has plagued my home, family , neighbors and wider community for decades. In this case, I am the only witness ….he could go to jail for several years if convicted…does my testifying put me at odds with God, or is the thief, if found guilty, paying for his harmful actions which have hurt many people ? When it comes to the law, and criminal activity of any sort, a witness has a duty, as a Christian, to testify. If you don’t, this person would continue his life as a thief, and the chance for his repentance would be completely lost. Testify without fear that you are going against the teachings of Christ. As far as the sins of your neighbors, follow the words of our Saviour. Your recommending Abba Dorotheos’ Practical Teachings on the Christian Life led me to want to purchase a copy. I checked with Amazon and was disappointed to see how terribly expensive it is. I shall have to find out if there is a monastic library where I can borrow this treasure. One of the reasons why we do not lend from our own monastic library. We’ve lost too many books to friends who simply forgot to return, or even “misplaced” the books. Even clergy have been guilty of this. Good luck in finding the book. Unfortunately, I have had the same experience. Not lending out is a sad but necessary decision. $66, and I’ve heard of the seller, seems to be legit. I, too, have seen the astronomical pricing of this out-of-print book. This is hard to do, when the person you are not trying to judge is essentially apostatizing from the Orthodox Church because a girlfriend is Catholic. And especially when the person is your roommate. Urging a friend to resist apostatizing from the Church is not judging, but voicing your loving concern. Pray for him, and try to keep the door open. 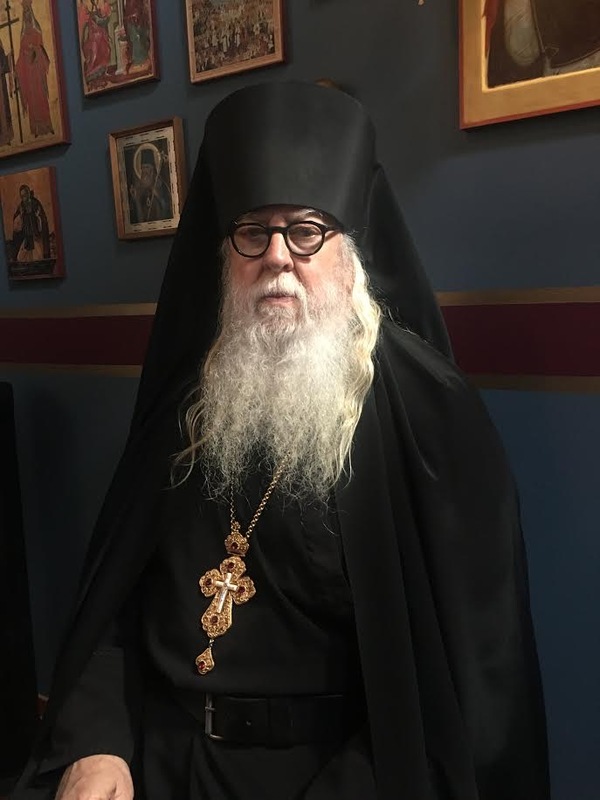 It is unfortunate that he is allowing his girlfriend to pull him from his Orthodox Faith, rather than him drawing her into the Church.